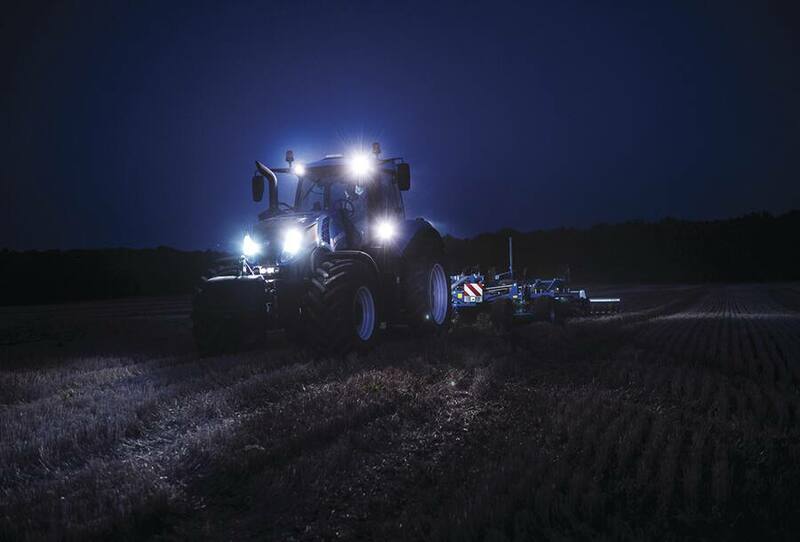 Today’s modern tractors offer farmers more power than ever before, but the most important thing is unlocking their true potential. 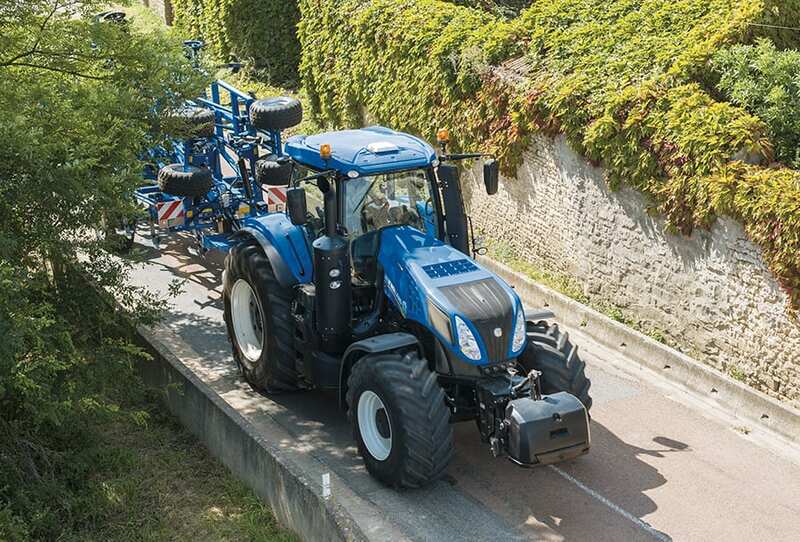 This concept was central to the design of New Holland’s SmartTrax™ rear track system. 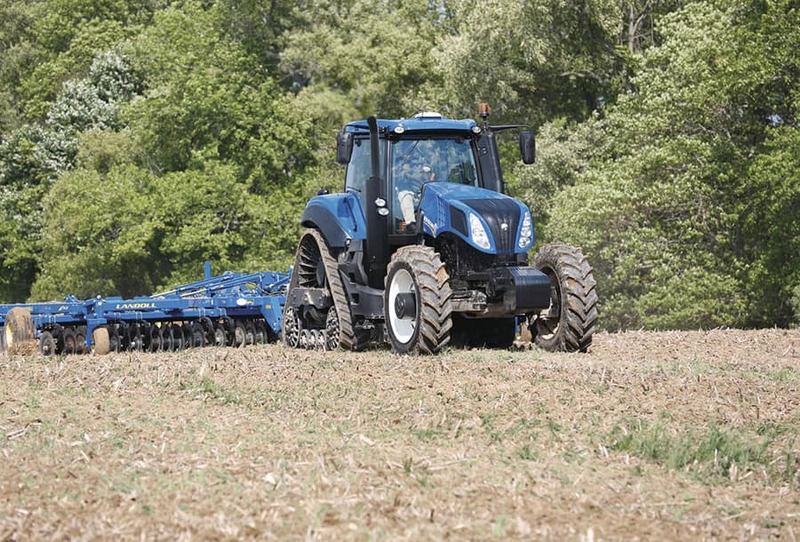 With a larger footprint you put more power to the ground while reducing compaction. Want more? You can get into your fields even earlier and work on wet Spring ground. 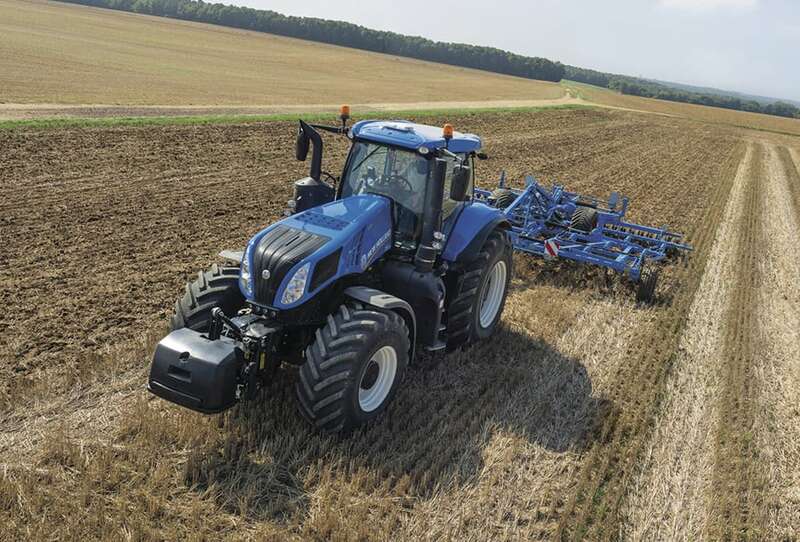 T8 SmartTrax™ means more productive farming. SmartTrax™ will usually be equipped with 24” or 30” belts. These belts optimise the traction available, whilst reducing ground pressure through footprint area. 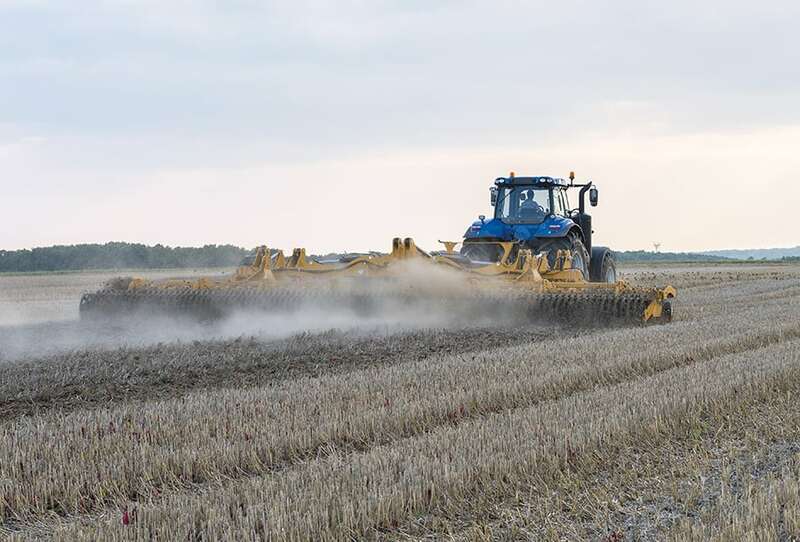 16” and 18” belts are available for specialist operations such as bed work and running in established crops. Different crops and different tasks need different track spacing. 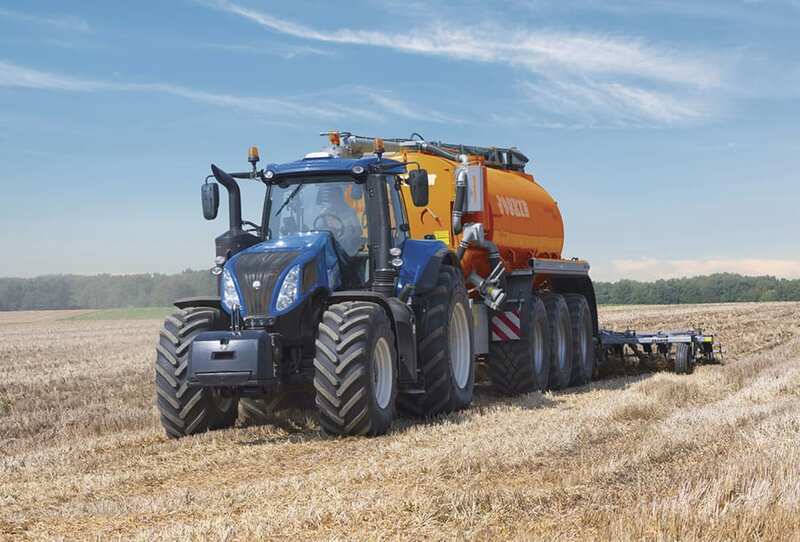 The SmartTrax™ offering provides seven spacing alternatives to ensure an optimised footprint, with a new wide front axle, used in combination with the wider settings. Why complicate matters? Simplicity is always the best policy. The rubber block suspension system offers a tried and tested, reliable solution to significantly reduce vibrations for enhanced operator comfort and productivity. 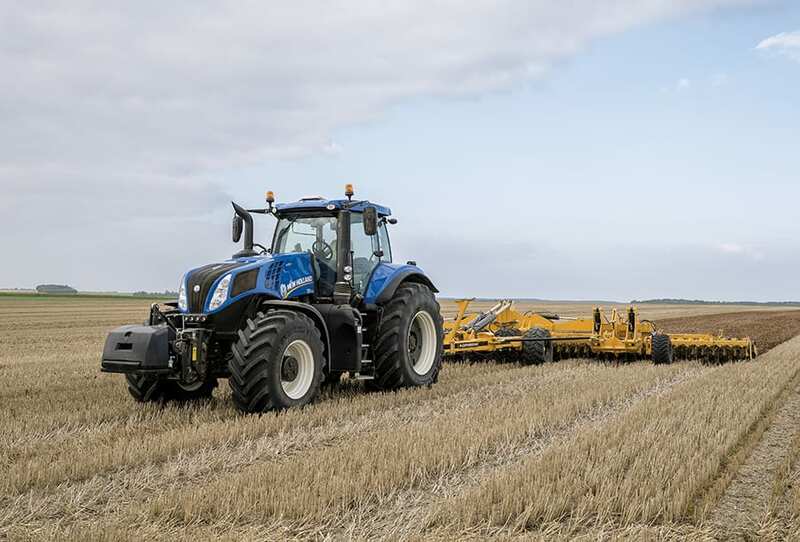 Ride quality is further improved by the three central independent rollers which move in conjunction with the terrain to cushion the operator from even the harshest shocks. When this is combined with Comfort Ride™ Cab suspension and the positive response active Auto Comfort™ seat suspension, you will feel as though you are floating on air. The beefy rear hubs have been designed to offer robust and rugged performance for ultimate reliability during heavy usage. 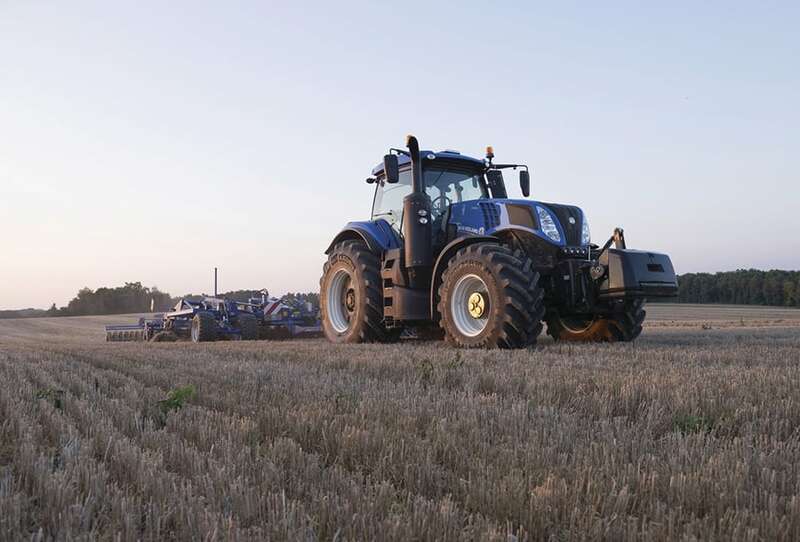 New Holland’s SmartTrax™ rubber track technology is the fruit of many years of intensive research and development in collaboration with farmers the world over. SmartTrax™ feature some of the most advanced technology to ensure they deliver in your fields. Day in. Day out. All year round. SmartTrax™ offer up to a 65% higher contact area with the soil than their wheeled equivalents. So what? 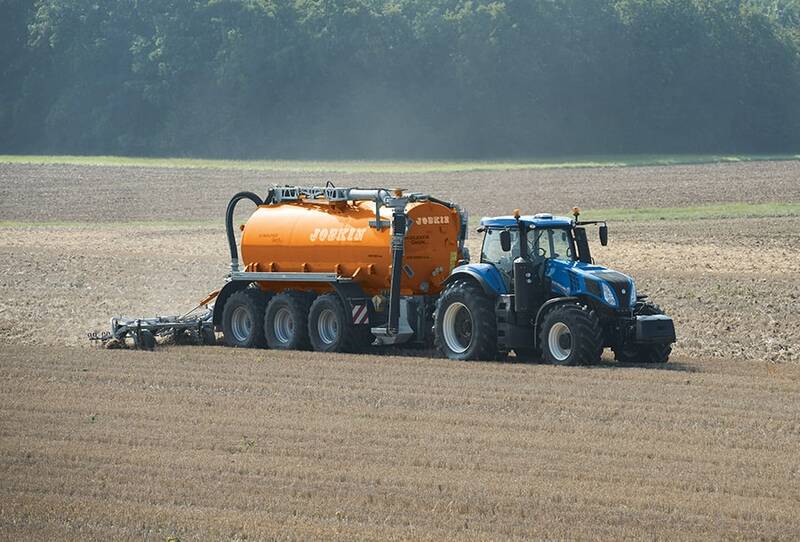 Well, it means that by spreading the load over a wider area you can reduce soil compaction. 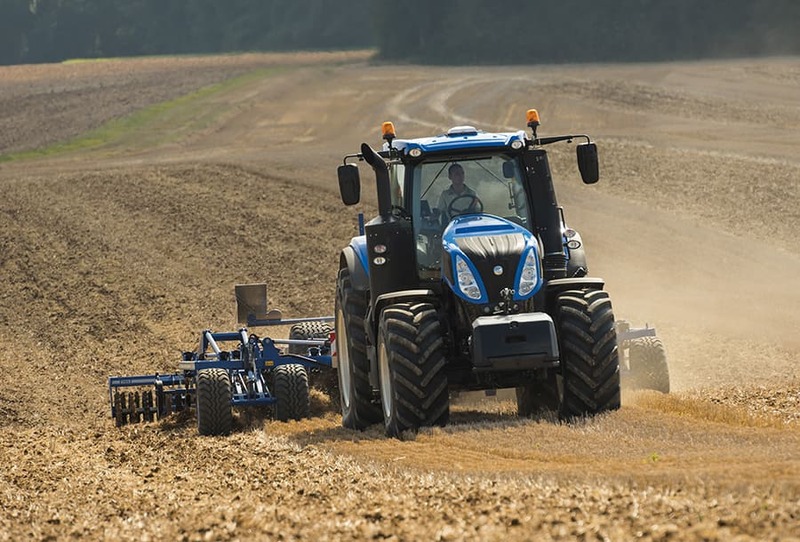 Lower compaction means higher yields. Simple. The SmartTrax™ rubber tracks and Terraglide™ front axle suspension have been tuned specifically for the T8 SmartTrax™, it improves traction and enhances comfort by counteracting bouncing to produce a silky smooth ride. When this is combined with Comfort Ride™ cab suspension, you have ultimate control of your T8 during high speed road transport. Enhancing comfort. Improving safety. Simple. The T8 SmartTrax™ retains its two axle configuration, which enables power to be distributed through both axles for more balanced operation. 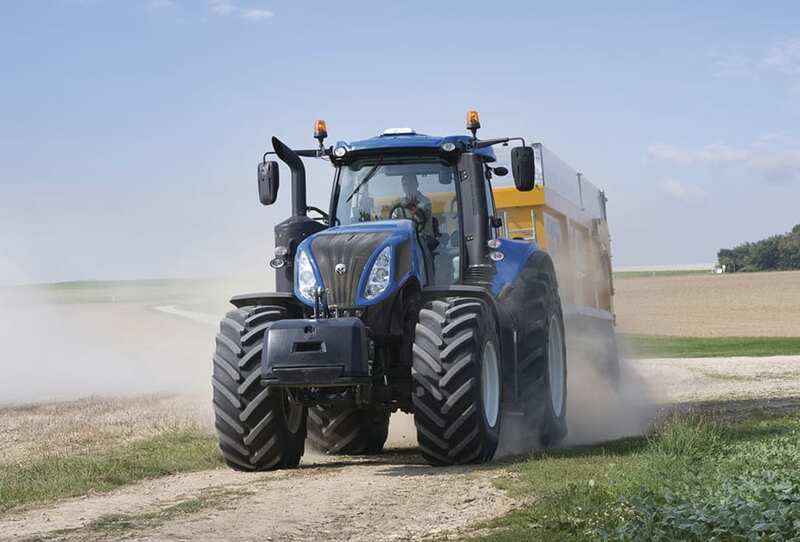 When towing heavy loads, or during intensive cultivation, the power delivered to the front wheels counterbalances the load on the rear of the tractor. This also enables more flexible ballasting, so that you can add additional weight exactly when and where it is needed. Improving flexibility. Simple. The benefit of the wheels and tracks dream combination is that it delivers improved ride quality. 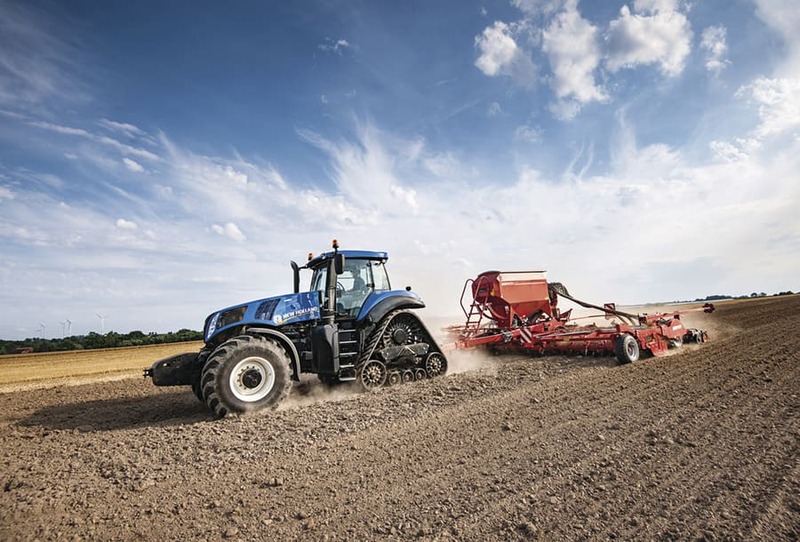 As the two axles can react independently to undulations in the field they can effectively absorb them, eliminating the see-saw motion of single track machines. Improving comfort. Simple. 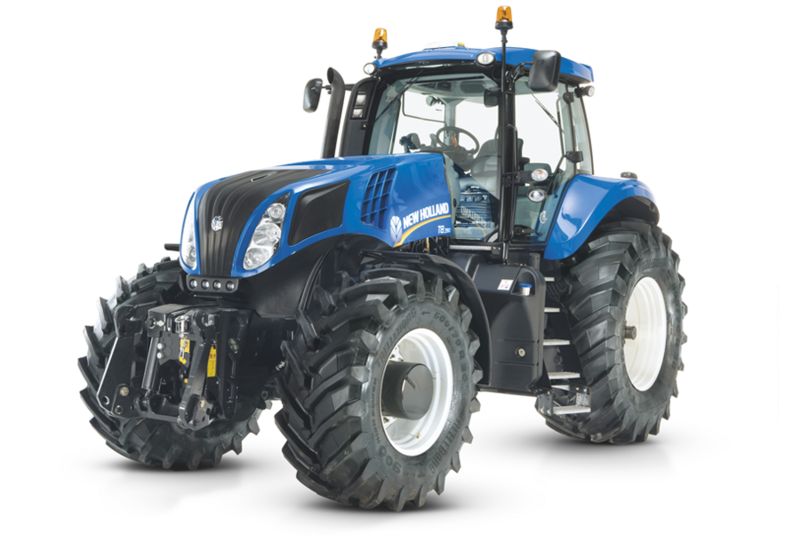 The T8 SmartTrax™ offers the best of both worlds: tight turning courtesy of the front wheels and ultimate traction from the rear tracks. The result: full power turns. In reality, this means that you can continue to cultivate during headland turns. Improving your productivity. Simple.